La Bohème is a stool designed by Philippe Starck for Kartell. Once again, Starck’s creative genius and Kartell's technology bring to life a revolutionary and fascinating design: La Bohème, a collection of stools in precious vase shapes. La Bohème is a stool designed by Philippe Starck for Kartell. ?Once again, Starck’s creative genius and Kartell's technology bring to life a revolutionary and fascinating design: La Bohème, a collection of stools in precious vase shapes. There are two designs: La Bohème 2 and La Bohème 3. 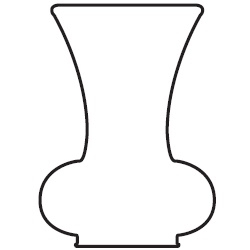 Each design highlights a different aspect of the vase as an object, in terms of the delicate and precious appearance and the stable and functional seat. Only exclusive technology, used for the first time in the design sector by Kartell, could allow the creation of a completely transparent collection of stools whose shape has a remarkable aesthetic impact. La Bohème stools suit any place, in the living room and in the garden, on the balcony and in the kitchen. 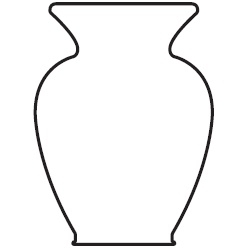 In addition to the stools, vases are also available in several colors. The elegance of the design, colors and material sets these vases apart, making them ideal for creative and original decoration and to personalise any setting.